We had the rare privilege to receive Martin in our offices and took the opportunity to ask for his view on many troubling issues involving money and financial markets. Talking with Martin Armstrong, "The Forecaster"
Embedded data could not be displayed. 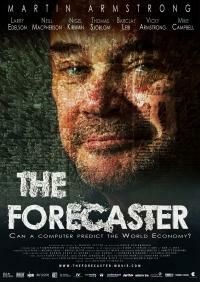 Martin Armstrong, once a financial strategist and advisor to over one trillion dollars of asset, developed a computer model based on the number Pi and other cyclical theories to predict economic turning points with eerie accuracy. Just recently, Martin came to Barcelona for a festival screening of the documentary movie "The Forecaster", directed by Marcus Vetter, about his experiences with the New York banking cartel. We had the rare privilege to receive Martin in our offices and took the opportunity to ask for his view on many troubling issues involving money and financial markets. We purposely took a different angle from the film's, not inquiring Martin about the injustice he and his family had to go through in recent years, and instead tried to plunge into the mind of an individual who discovered how the world ticks through the lens of a computer model. We listened him talking about gold standards, interest rates, what money really is, the Euro and European debt, Grexit, taxation, the Swiss peg, oil, stock markets, elimination of cash, and many more fundamental topics of today's world economy. Money flows between stocks, bonds or commodities, political circumstances and economic trends, the variables are just too many for a human mind to process it all into a lucid forecast. You may agree or disagree with Marty's political stance, but you can not deny the fact that history keeps repeating and each generation has to learn a hard lesson. The talk is of high interest for any citizen of the world but becomes even more compelling for currency traders, since misunderstanding currency makes us blind to the perpetual dance between value and price across the globe. We hope you'll enjoy watching this eye-opening video as much as we enjoyed talking with Martin. • Next to "Quality", choose the resolution of the video.